Coding mammography’s can confusing to say the least. How do you know what exam is most appropriate to code? 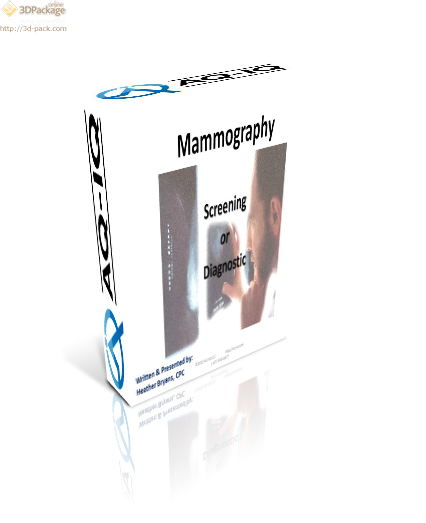 Is it a screening Mammography or a Diagnostic Mammography? Is it Digital or Computer Aided Detection? What Diagnosis should you report if it is a screening Mammography? The purpose of this session is to help clear up that confusion.